… because it’s what’s on the inside of that little jar or bottle that counts. 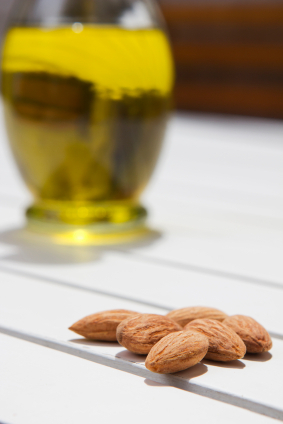 Also known as Sweet Almond Oil, Almond Oil for skin is a favorite at Mario Badescu. It’s an all-natural, multi-purpose ingredient loaded with essential Vitamins A, D, and E. Almond Oil is often found in hair, skin, and nail products. For one, it’s incredibly versatile. Almond Oil for skin is essentially beneficial for all skin types: it provides nourishing but lightweight hydration, meaning it has the ability to help moisturize oily skin types without clogging pores and help relieve dry, cracked, and flaky skin. Skin is left noticeably softer, smoother, and more even in texture. Furthermore, because Almond Oil is packed with antioxidant Vitamins A, D, and E, it is a star ingredient in anti-aging creams and moisturizers for aiding in reducing the appearance of fine lines and wrinkles. In eye cream, Almond Oil can help minimize the look of dark circles, puffiness, crow’s feet, and any fine lines. Excelleոt weblog here! Additionally your web site a lot up very fast!